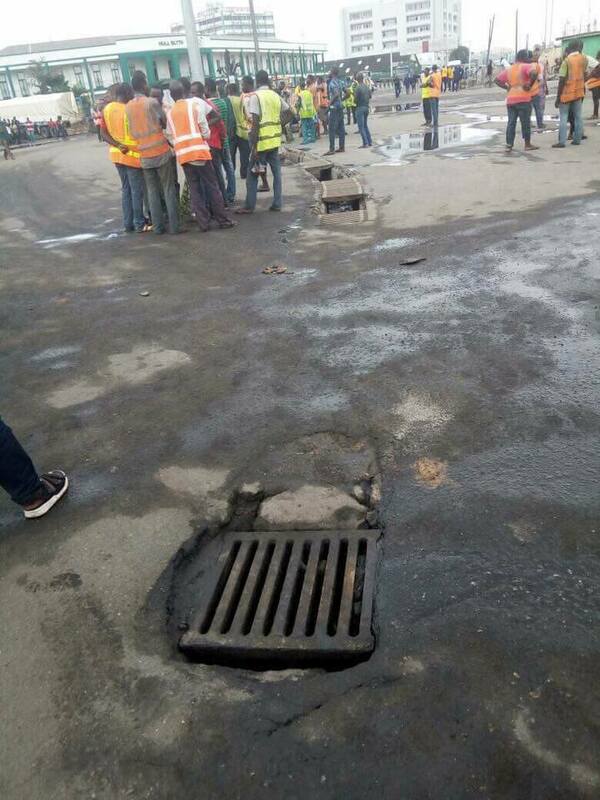 Diamond and Sterling banks in Apapa were set on fire after irate trailer drivers tried to avenge the death of their member in the hands of a policeman. Photos of the bank set ablaze by an irate mob in Apapa area of Lagos State after a policeman attached to Diamond Bank on Burma Road allegedly shot dead some trailer drivers has been revealed. 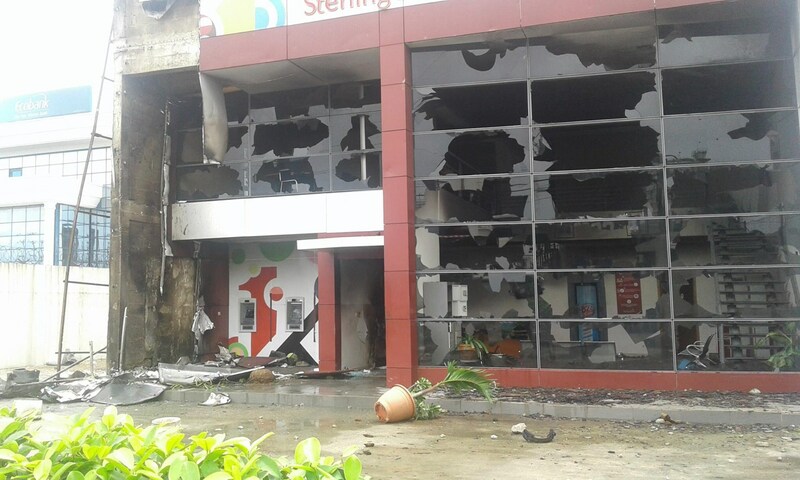 The fire also affected a Sterling Bank branch in the area. It was gathered that the trailer drivers had indiscriminately parked in front of the bank. While trying to clear the area, the policeman allegedly had an altercation which led to his shooting of the trailer drivers. The trailer drivers were forced to protest the death of their members by attacking the bank for refusing to hand over the policeman to them. 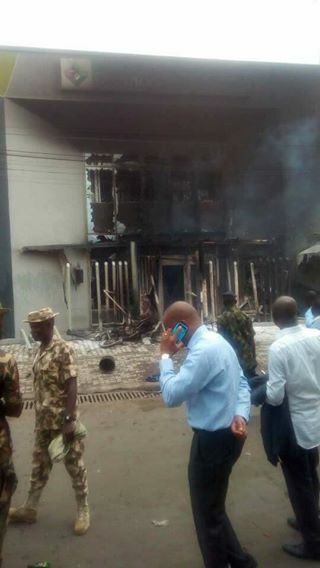 The drivers therefore moved to set the bank ablaze, destroying properties and other valuables. 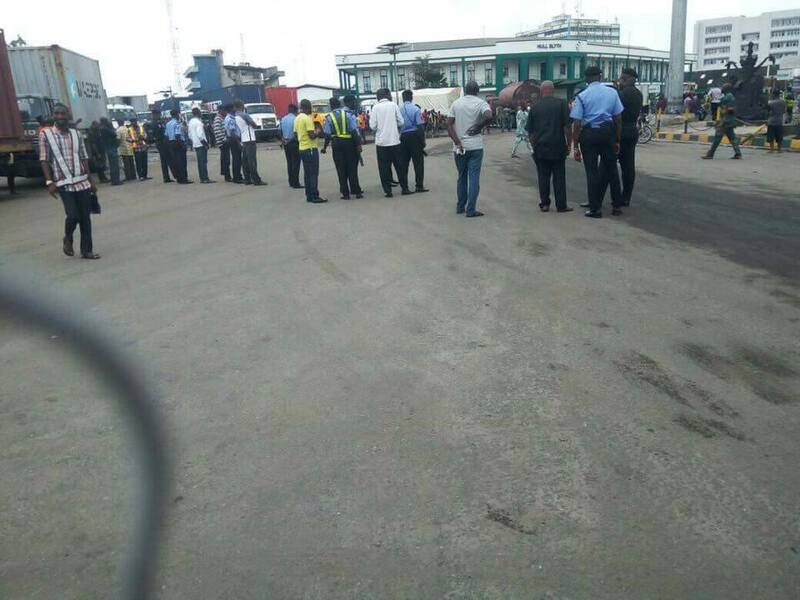 Policemen from Rapid Response Squad, anti-riot squad and Area B command, as well as operatives from the Nigerian Navy Ship BEECROFT have been deployed to the scene of the incident.